There are good hosts and bad hosts and it is hard to distinguish between the two. Searching Google will usually lead you to “review” pages that supposedly are reviews but in reality are thinly veiled affiliate sites. The reason is that website hosts pay their affiliates very good money to recommend them. To make matters worse they don’t tell you that their links are affiliate links which to me makes the recommendation somewhat shady. (full disclosure some of the links in this post are affiliate links I will tell you which ones). I have several decent hosts that I would recommend and one that is my new top choice that I think you should try. Bad hosts can cause you a lot of emotional pain and stress. From terrible customer service to overloading their servers with too many sites which in turn causes servers to go down and for your site to become unavailable. Bad hosts can also cause your site to load slowly and that in turn can hurt your Google rankings. Hosts I would avoid would include any that are owned and managed by a company called Endurance International Group or EIG. You can see a partial list of their companies here. You might be surprised at some of the names on the list. Common names that you may have heard of like BlueHost (this is an affiliate link just in case you don’t want to take my warning) Many people use Bluehost with no issues. Pat Flynn a well-known internet marketer has been recommending them for years but you can find plenty of people that have had a less than stellar experience with them. I have had my share of bad experiences with an EIG company. A couple of years ago I was with a great hosting company called Site5. They were fast, the uptime was great, and their customer service was fantastic. Until EIG bought them. Then everything changed in the first month my sites were down more than the previous 2 years combined. It was hard to get a hold of anyone in customer service and when my sites were up they were painfully slow. So I moved to my current host EuroVPS (This is the host I use for most of my sites and this is an affiliate link). They may be too expensive for a beginner site. Even though their servers are in Europe (Amsterdam) I found my sites loaded faster in North America than any of my previous hosts. In an effort of full disclosure, I do not have their base plan on their shared hosting I have a reseller plan that no longer exists. I have been with them for going on three years and have been quite happy. That being said they split the company into 2 offerings EuroVPS that offers their higher end managed hosting plans and Fast Euro Hosting (not an affiliate link) that has their basic hosting and reseller plans. If your audience is based in Europe I would take a look at these guys as I said I have been happy with them. 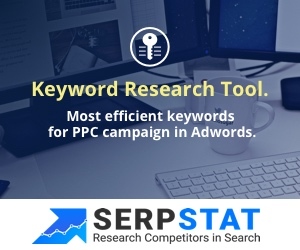 A popular choice is Siteground (affiliate link). This used to be the host I recommended the most. They have good customer service and lots of people love their hosting. In my opinion, there is nothing wrong with their basic hosting and they are very good for starter sites. Their customer service is highly regarded, they have lots of features and the customer interface is easy to use. However, as your site grows you may have to consider looking for a different provider as there are some issues when your site has reached a certain size, although this can take a couple of years. The main complaint is overuse of CPU resources, and they temporarily suspend the website and they make you jump through hoops to get it back up and running. I am not sure if this is their way of encouraging their clients to upgrade their hosting or if it is a real issue, all I do know is that with all of the hosts that I have used and all of the hosts that my clients have used this is the only one that has had these issues on a regular basis. This was the company I recommended quite a bit but due to the ongoing CPU issues I now only recommend it as a starter host. Besides SiteGround and Fast Euro Hosting these hosts are highly recommended with few complaints but I have never used them personally. A2 and Liquidweb (affiliate links). All the research I have done it seems that these hosts have a lot of satisfied customers. A2 would be more appropriate for starting a website as it has shared hosting, LiquidWeb, on the other hand, is WordPress Managed Hosting, and if you already have a website that makes decent money then LiquidWeb would be worth a look. Shared hosting is where most people start as it is inexpensive and easy to set up. It means that your site “shares” the resources on the server. As long as the host doesn’t try to cram a ton of sites on one server this works well when you are first starting out. As I said above you can look at Siteground or A2 but today I am going to show you a little-known host that has an extremely good reputation for fast servers and great customer service. Incendia Web Works has no affiliate program so the money Bud makes goes back into his equipment. His servers run fast and he has lots of different plans for every need. One of my primary factors when looking for a new host is finding one with no affiliate program. The basic Economy Plan is where you should start if you are just bringing on a new site when your traffic picks up it is easy and affordable to move up to the next higher level plan. The support is outstanding and I have talked to Budd and he happily answered all of my questions about his service. To get set up go to Incendia and choose a plan. If you are just getting started the base economy plan is $1.85/month. To see a video with all of the following instructions scroll to the bottom of this post. You choose whether you need to register a domain through them or use your own. If you have bought a name through someone like NameCheap choose the second option (use existing name) and enter your domain name. You will then need to review your order, the only thing to change here is where you want to server to located. Try to think of where most of your audience will be from. If it is in the USA then just leave it where it is, if you think you will get mostly a European audience then choose Germany and if your audience will be from South East Asia or Australia then choose the Australian location. Proceed to the check and choose to pay either via PayPal or Stripe. Congratulations you now have a hosting account! You will get 4-5 emails from Incendia. A Welcome email, invoice, confirmation of payment and a couple of more. The email you need to watch for is the titled “New Account Information” this is the most important email and to continue you need to have the info in this email so do not delete it. The first section of this email will have your CPanel log in information, there will be a username and password, this will be different than the username and password that you entered when setting up your hosting account. Click on the Control Panel URL included in the email and use the provided username and password. Once into your CPanel look for Let’s Encrypt SSL, it is about 2/3 of the way down under the “Security” section. Google now use https as a ranking factor so websites now need to have their URL’s secure with an SSL certificate. SSL certificates are included with Incendia’s hosting even their basic $1.85 a month plan includes a free SSL certificate. Click on the Lets Encrypt SSL tab and then on the next screen find your new domain and click on “issue”. Then on the following screen click “Issue” again at the bottom to install your free SSL certificate. After you have installed the SSL cert you need to go back to the home page of your CPanel and look for the “Software” section towards the bottom of the page. Click on Installatron Applications Installer. You now want to scroll down to the second section called Apps for Content Management and the first icon should be for WordPress. My preference is to choose the non www name, https://domainname however if you want to use the www go ahead. Depending on how fast you got to this step you may get the below error message, don’t worry it just means that your SSL cert hasn’t finished populating around the world. It can take up to 24 hours but I have never seen it take that long maybe an hour or 2 at the most and most of the time it is within a few minutes. So don’t worry if you get the above message there is something else that you need to do while you wait for the SSL cert. Go to the website where ever you bought your domain whether that be NameCheap, or Go Daddy or NetFirms. You are going to need to log into your account and change the nameservers. Remember the email from Incendia titled “New Account Information” you will need to go that email again and go to the second section with the Nameserver information. The nameservers should look something like: ns1.something.com and ns2.somwthing.com. You will need to navigate to the area on your domain registrar where you can change the nameservers, it might be called domain manager, or domain center or something to that effect. When you find the nameserver area you will need to change them to whatever the server name was in your email. Nameservers can also take up to 24 hours to propagate around the world but most of the time it takes less than an hour. After you get your nameservers changed and if you got an error when installing WordPress go back to the WordPress install page at Incendia and try to install it again. When your WordPress application is finished installing it should have an image of the basic current WordPress theme. Above shows the Twenty Seventeen base theme, Twenty Eighteen should be released shortly. You will also have yet another username and password to log into your WordPress dashboard. So you will have a username and password for the hosting account, a username, and password for your CPanel and a username and password for your website dashboard. If you don’t use a password manager I would recommend using LastPass. It is what I use to keep my passwords safe and it works great. You also will receive an email from WordPress telling you that you have a new account and it will give your username. Although this information can be found on the Installatron install page. Right in the middle of the above page, you can see Administrative Username and Administrative Password this is where you can set your username and password. I would leave the username as is, you do not want to use your name or anything like you blog name or the word admin. Hackers will try these username to try to hack your website so having a random username is best. Also you can set your password, just click generate and then show password to reset to a new dashboard password. Once you have both your username and password go to https/:yourdomain/wp-admin to log into your website’s dashboard, and log in to your site! Congratulations you now have your own website set up on WordPress! In the next post, I will be going through the setup options and how to upload themes and recommended plug-ins. You need to pick a theme that you like. A theme is a template that makes your site look the way you want it to. 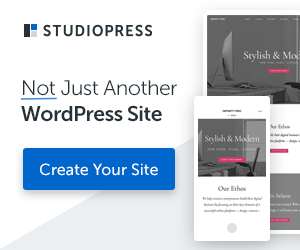 The easiest way to do this is to go to the website that you really like or search Google for blogs in your niche to find the websites that you like and then use WordPress Theme Detector to find out what WordPress theme they use. The best themes are well coded, small in terms of upload size and blazing fast. You can find hundreds of free themes at the WordPress repository. These are the only free themes you should use and they should only be downloaded from the official WordPress theme directory. The themes that can be found there go through a strict review process. DO NOT download a free theme from any other source. I primarily use StudioPress Themes with the Genesis Framework. These are premium themes that are fast, well coded, SEO optimized and designed to be secure. With StudioPress there are 2 parts the Genesis Framework and the theme itself. Think of the framework as the frame and body of your car and the theme as the paint and accessories. I also use Astra Theme. Astra is made for speed. It is the most lightweight theme available and offers great performance, it is very customization. This theme is a light weight and small, less than 50 KB whereas a lot of the other WordPress themes require at least 300 KBs. The base theme loads in less than a half second. It is built for speed and is fully optimized for performance. Both of the above options work great with Beaver Builder. 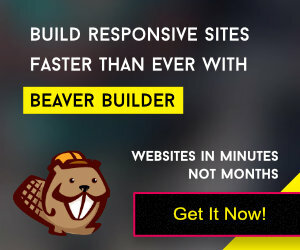 Beaver Builder is a flexible drag and drop page builder that works in the dashboard your WordPress website. You can design beautiful page layouts and it is easy to use. In the next post we will be setting up your WordPress install and we will install your theme and some recommended plug-ins. I concur with you about EIG owned web hosting. From experience with Hostgator and BlueHost, they are up-selling rip-offs. BlueHost makes outright fraudulent claims about the capabilities of their WordPress VPS plans. Another WordPress recommended webhost is InmotionHosting and they were even worse than BlueHost!